Depression is a medical illness that affects millions of individuals daily. The causes of depression are not always easy to ascertain. It can be caused by a genetic predisposition, a psychological trauma or change, or an environmental situation. Despite, the cause of depression, it is a treatable illness with the help of the proper medical attention. Many times doctors will prescribe medication and that usually improves the situation. However, medications don’t always work and doctors have to look at other options. In the past couple of years, doctors have been looking at other options in treating chronic or recurrent depression, one such option is Vagus nerve stimulation. In 2005, the Food and Drug Administration approved the use of this option. This technique is used on patients who have been depressed for over six years and have not responded to antidepressants or other mood stabilizing medicines. In the past, this technique has been used to treat patients with epileptic seizures. This treatment does involve surgery. The Vagus Nerve Stimulation device is placed under the skin on the chest wall and the wire runs from the vagus nerve in the neck. Three small leads are then carefully attached to the nerve. The surgery takes approximately one to two hours. The person in most cases, can leave the hospital that day, sometimes, a one night stay in the hospital is required. A few days after, the device is programmed to stimulate the vagus nerve. This device sends regular, pulses of electrical energy to the brain via the vagus nerve. The vagus nerve is one of twelve pairs of cranial nerves. It has been linked to motor function in the voice box, diaphragm, stomach, and heart, and sensory functions in the ears and tongue. The patient is also provided with a special magnet that they can use to have the device become active outside of the times that have been programmed. You should check with your doctor before making these additional changes. This stimulation of the vagus nerve is thought to affect areas of the brain responsible for our moods, motivation, sleep and awareness, all things that affect depression. Patients who were implanted with the device have found to make significant progress in the fight against their depression. Approximately, twenty-seven percent of individuals saw their symptoms go into remission after one year with the device. Forty-five percent of patients saw improvement after one year, and fifty-four percent of patients saw improvement after two years. Proving that this treatment does provide hope for individuals who in the past have not responded to the typical treatments for depression. 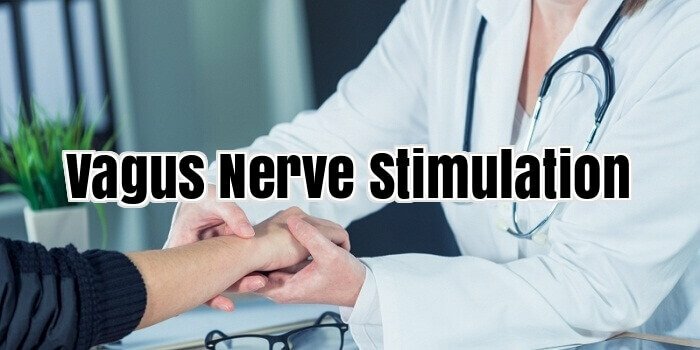 The Vagus Nerve Stimulation is relatively safe and does not cause any additional side effects that are not normally associated with taking depression medications. With any surgery, there is risk of injury to the vagus nerve. In some cases, a patient may experience alteration in their voice, shortness of breath, neck issues, and coughing, but these only have happened in some cases. Most of the time, patients have seen these side effects lessen and eventually diminish. The battery for this device lasts about five years. The device and the surgery can cost a patient anywhere from $10,000 to $20,000 dollars. In some cases, health care providers have begun to pick up the cost of the treatment, when it is proven that all other options to help the individual have failed. Depression is a scary illness. It affects the way a person feels, the way you think and the way you act in certain situations. Individuals with depression can no longer function the way they use to. One in four women suffers from depression and one in six men do. With those types of numbers, the level of individuals seeking treatment increase. While medications typically help those individual’s cases, they are times when some people just don’t respond. While no one can say for sure why this happens, research has shown that we need to find more effective ways to treat long-term depression. The Vagus Nerve Stimulation device is one such way that has shown positive results for individuals. These individuals deserve to find a way to have a better life and to help improve their day to day functioning.